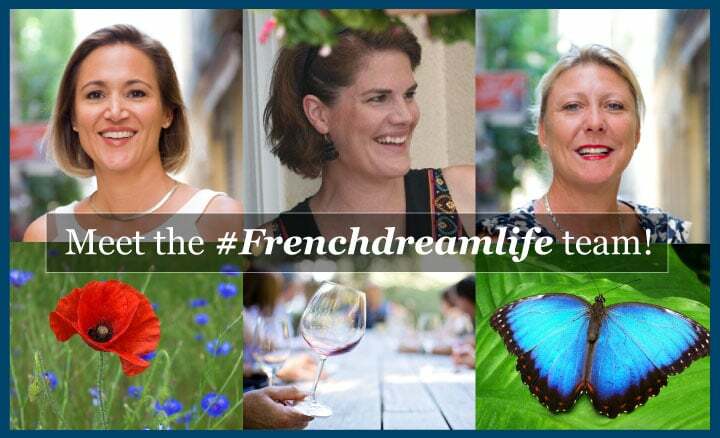 Meet the Renestance Girls – the #FrenchDreamLife Team! As you may have seen from our Meet the Team page – all of us at Renestance have had our own unique experience of moving to France. Collectively we have lived here over 50 years and individually we all have our own areas of expertise. We thought it would be a bit of fun to compare some of our own views about ‘la vie francaise’. How many years have you lived in France? What was your profession before moving to France? First time was to study in Aix-en-Provence, second time was to live an adventure in Paris while improving my French and getting international work experience. I thought I would go home after two years…oops! Straight out of college, I came for 3 months to finally discover the country I had studied for years and which would be the focus of my future career as a French teacher back in the US…but I never went back. I was asked by a cousin to come and help him set up luxury golf holidays from a gorgeous old domaine he had bought. I rented my house in Cambridge out and set off with my world in my car – and never looked back! What is your favorite thing about France? Hard to choose! I guess I’ll say the architecture, because it’s so different from where I grew up, and I never get tired of it. Each regional style is delightful. The expression “profitez-en”, which is the idea that you should enjoy and take advantage of every moment and opportunity. Like sipping a coffee “en terrasse” for an hour, even though it only takes a second. The view, people watching and sunbathing make it a moment to enjoy for as long as possible. I have loved learning different French traditions, especially around food and drink. I like the sense of national pride and the ingrained respect for one’s elders. I feel so French now, I don’t think I could live back in Britain! What is your least favorite thing about France? A lot of drivers do not know how to use a roundabout properly! What is your favorite French word? Which French word do you find hardest to pronounce? What’s your favorite French dish? What French food you are least likely to order? What has been your best experience in France? Getting married in the city hall of Paris 16ème and then celebrating in a manor in Normandy. Wedding and childbirth à la française. What has been your worst/most unusual experience in France? Coming back from a ladies’ night out to learn about the terrorist attacks in Paris in 2015. Will never forget that awful feeling. Being verbally attacked by an agent at the tax office. Macho road rage moments directed towards me. What’s one thing you’re excited about that’s coming up in 2019? Sharing my workload with our new Renestance Team member, Isabelle! If I’m not working, I’m probably sleeping. Also like to run, hike/play outside with my family, meet up with friends for drinks/dinner, or play board games on rainy days. Family, cooking, playing, reading, exercising and socializing. Life jobs, DIY, gardening, cooking, having friends over for meals, flea markets/boot sales, board games. So now you know! We are not just a team of French lifestyle experts, it seems we’re also a team of ‘gourmandes’ that appreciate many different aspects of our new lives in France. You can learn more about living in France and share experiences with other English speakers in the THINK South of France group on Facebook – join us here: https://www.facebook.com/groups/thinksouthoffrance. 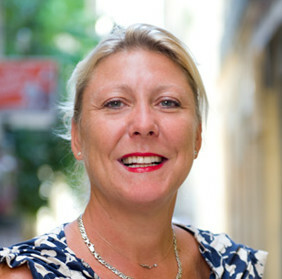 Dennelle is the President of Renestance and a bilingual American who’s lived in France since 2000. She loves so many things about France, its language, culture, geography, quality of life... that she started a business to help others realize their dreams of living in this incredible place.